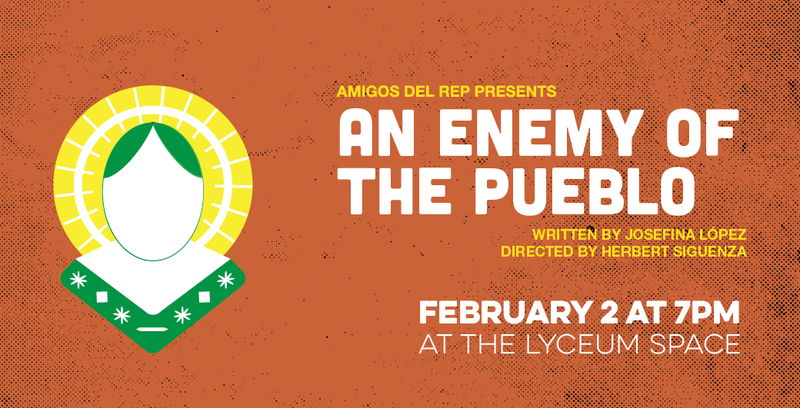 Amigos del REP Presents "An Enemy Of The Pueblo"
In this modern take on Henrik Ibsen’s An Enemy of the People, Josefina López explores what happens to a Curandera and Midwife named Magdalena when a small border town in Mexico—once famous for their healing waters—is asked to face a hard truth. After being overrun by a drug cartel, Milagros became a virtual ghost town. But, when the head of a cartel drowns in the hot springs, everyone in the town is hopeful they can revive the American tourism with their famous hot springs, everyone, that is, except Magdalena who recently had a vision that the water is poisoned. Even her brother (the Mayor) turns against her and this unwanted news. Soon the whole town accuses her of being a bruja (witch) and chases her out of town. 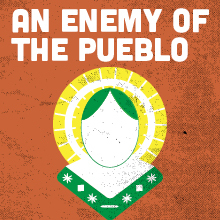 Will her divine assistance protect this enemy of the pueblo as she fights for the health and safety of her town on its people? Having had over 80 professional productions of her plays throughout the United States, Josefina Lopez is one of today's preeminent Chicana writers. 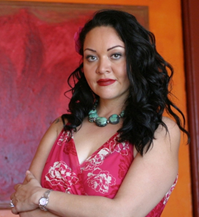 She has written such plays as Simply Maria, Or the American Dream, Confessions of Women From East L.A., Boyle Heights, Lola Goes To Roma, Food For The Dead, Unconquered Spirits, and Real Women Have Curves. ... Josefina has a screenplay at HBO titled Loteria for Juarez about the mysterious murders of women in Juarez. ... Josefina has won several awards including a Gabriel Garcia Marquez award from the L.A. Mayor in 2003. ... She has an MFA in screenwriting from the prestigious UCLA Film and Television school. Josefina was born in San Luis Potosi, Mexico.